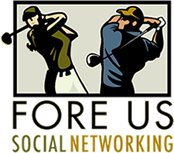 Fore Us is a social and (casual) networking golf group based in Marin County, California. Founded in 2010 by Gary Thomas, Fore Us meets on the first and third Wednesday afternoon year round to play at Stonetree Golf Course in Novato, CA. Our group has arranged to play this premier course for only $45*, including cart and water bottles. Socialize with other members post-round in the Clubhouse where drinks and meals are available. If you would like to join us, please visit our Meetup page. There is no cost or obligation to join. Fore Us. Great Golf. Great Rates. Great People. *an additional $5 tournament fee is sometimes required. Cash payouts for winner(s). Format depends on number of players.